Hello again! If you’ve been looking at my Instagram feed lately you’ll have noticed that I’ve taken slight diversion from jewellery making of late and I’ve been working with recycled copper a lot. 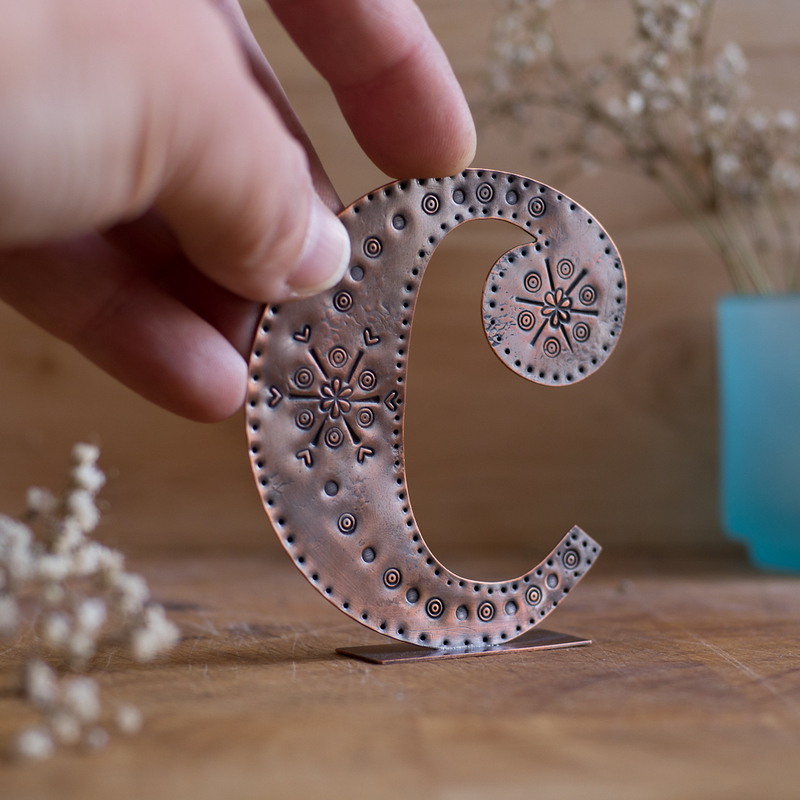 I mentioned in my last post that I’d started on a series of copper letters decorated with lots of different metal stamps. The letters went down a storm at my Open Studios at the start of the month and I’ve had tons of amazing comments from folk on Instagram and Facebook too. But my partner has more up to date software and was able to step in and help – not sure what I’d do without him to be honest – it’s his camera too, so without him I guess these gorgeous photos wouldn’t exist! 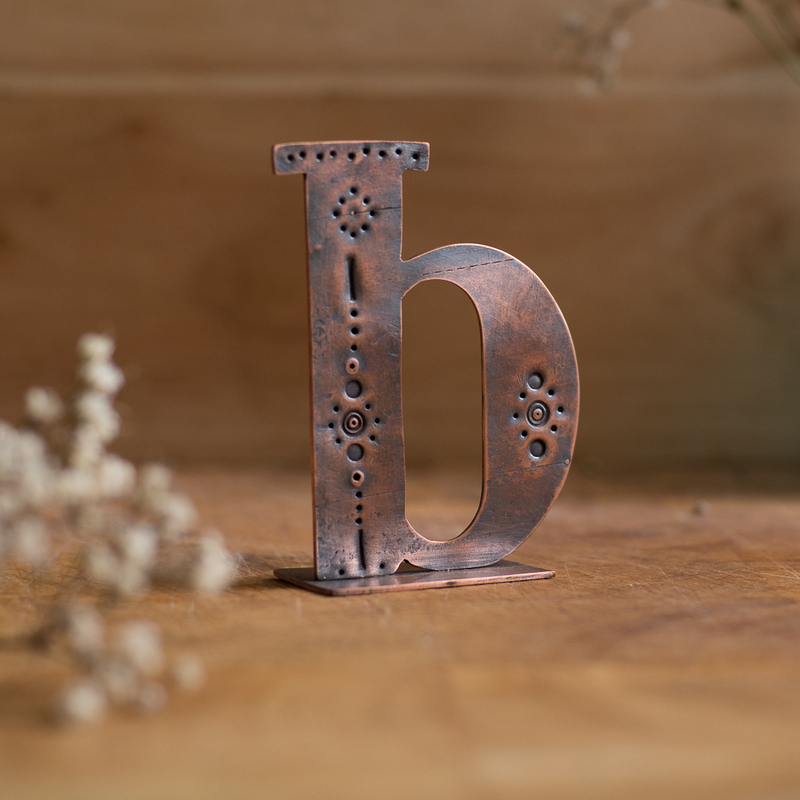 I overcame several obsatcles and managed to photograph the letters I have left in stock and they are all now listed in my online shop – you can find them here in my Copper Type section. They are all unique and there is only one of each letter in stock. Once these have sold they will be available on back-order, so if you like the look of any of the letters currently in stock, get them now while they’re still available. 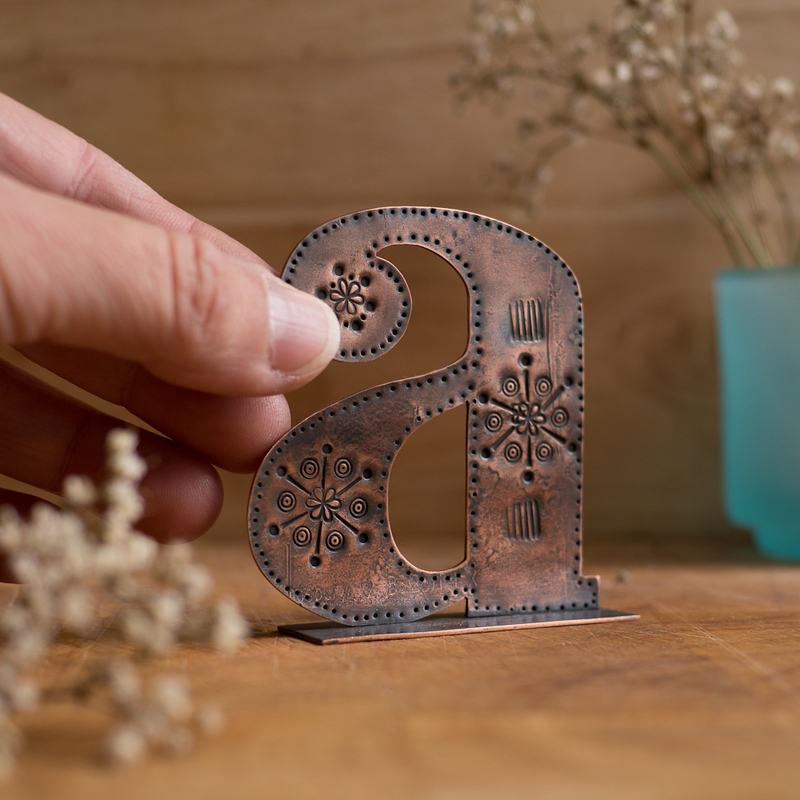 Subsequent letters will follow the same designs, but as they’re all individually handcrafted, they won’t be exactly the same. 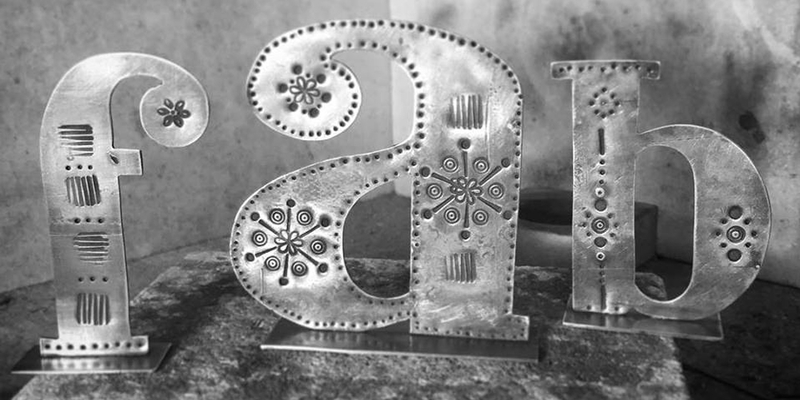 I intend to get each letter of the alphabet done and up online for sale, but at the moment there are a few gaps due to sales at my open studios. 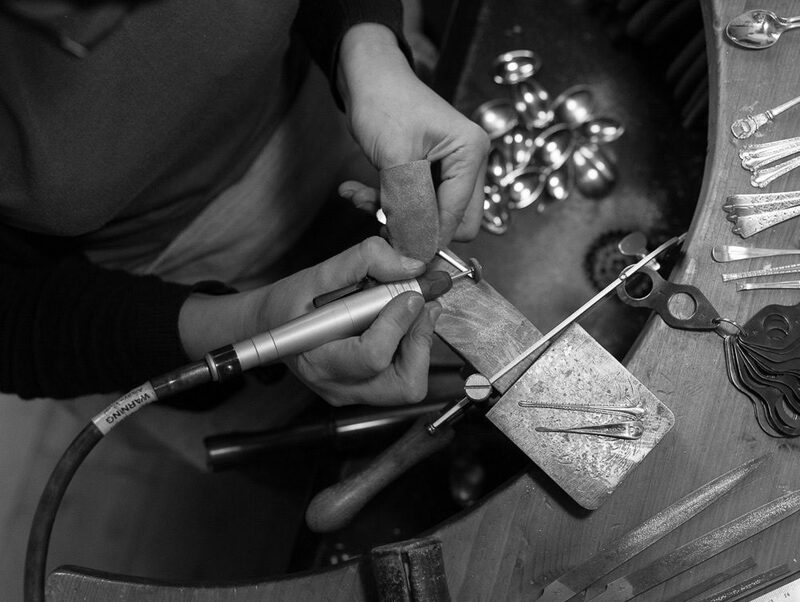 I’m happy to take on commissions and bespoke orders. If you want a set of letters that spell out a name or a favourite word for instance with certain emmbellishments, simply get in toush to discuss your requirements. I’ve just taken on a lovely commission for the word ‘Home’ that is to include a brass cat and a heart and will be posting photos of this in progress over on Instagram soon. 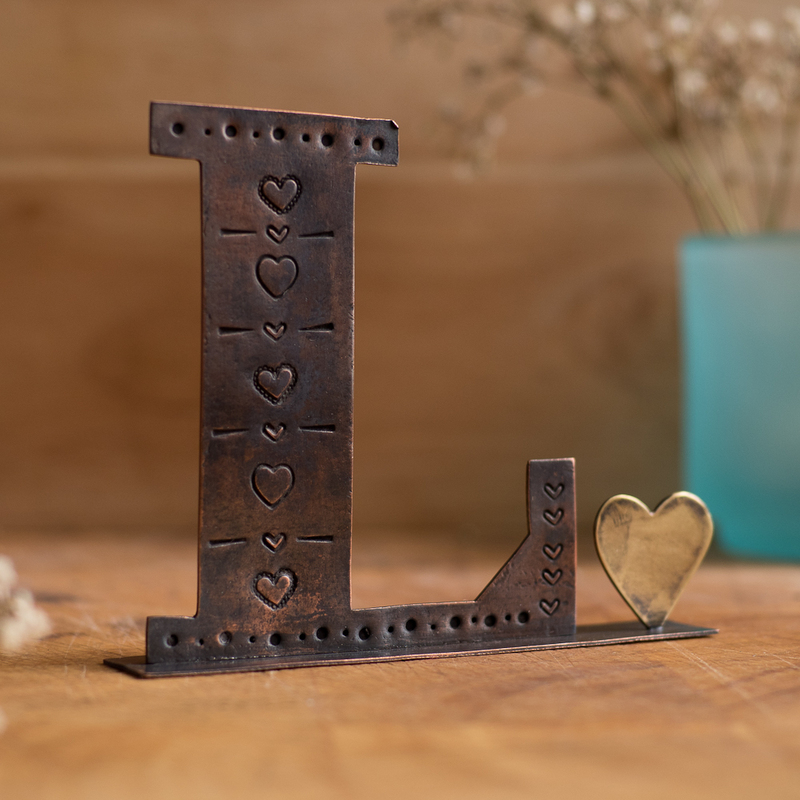 I’m running a promotion on this new collection and with the coupon code #LOVETYPE10 you can get 10% off any order of Copper Type until the end of September. This entry was posted in News & Events and tagged Copper, Copper Type, Typography.